Prior to joining Buffalo Rock, Bruce Parsons was a partner with the law firm of Burr & Forman, LLP, practicing primarily in the practice areas of corporate & securities, as well as, mergers & acquisitions. He also served as outside corporate counsel to Buffalo Rock for a number of years. Prior to joining Burr & Forman, Bruce worked with the law firm of Maynard, Cooper and Gale, P.C. Bruce attended Huntingdon College, graduating with Bachelors’ degrees in Management, Computer Science and Religion & Philosophy. 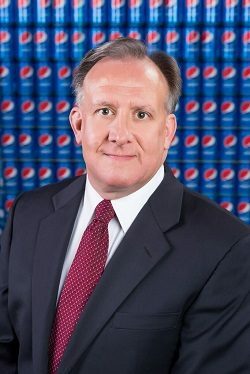 After graduation, he began his career with BellSouth Corporation, working in a variety of positions in the controller’s organization as well as the systems group, where he was involved with the design, development and operation of computerized accounting and financial control systems. Bruce also holds a Master’s Degree in Business Administration from Samford University and a Juris Doctorate from the University of Chicago. Bruce has three daughters. His oldest daughter, Marie, is a graduate of Auburn University and is currently pursuing her PhD at Miami University – Oxford. His daughter Anna, also is a graduate of Auburn University and is attending graduate school at NYC. His youngest daughter, Lauren, is currently attending Auburn University. Bruce resides in Birmingham and attends Briarwood Presbyterian Church. His other interests include travel and woodworking. He is an avid big game hunter and archer.